Section 1.1 FORMATION. 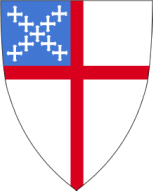 Christ Episcopal Church (the “Parish”) is an ecclesiastical society formed under the constitution of the State of Connecticut and under the Constitution and Canons of the Protestant Episcopal Church and has been organized as a Parish since 1744. The Parish acknowledges the authority of the Episcopal Church (the “Church”), its Constitution and General Canons, and the authority of the Episcopal Church in Connecticut (the “Diocese”), and its Constitutions and Canons. Section 1.2 LOCATION. The Parish church and offices are located at 9-11 Park Street, Guilford, CT 06437. Section 1.3 PURPOSE OF THE BYLAWS. The purpose of these bylaws is to clarify responsibilities and procedures within the Parish necessary for sound and orderly conduct of parish ministries. These bylaws set forth are intended to assist the Rector, the Officers, the Vestry, and the members of the Parish by supplementing the Canons wherever necessary or appropriate. Section 2.1 QUALIFICATIONS OF CHURCH MEMBERS. All persons who have received the Sacrament of Holy Baptism with water in the Name of the Father, and of the Son, and of the Holy Spirit, whether in this Church or another Christian Church, and whose Baptism has been duly recorded in this Church, are members thereof. Members 16 years of age and over are to be considered adult members. All members of this Church who have received Holy Communion in this Church at least three times during the preceding year are to be considered communicants of the Church, and all communicants 16 years of age and over are to be considered adult communicants. It is expected that all adult members of this Church, after appropriate instructions, will have made mature public affirmation of their faith and commitment to the responsibilities of their Baptism and will have been confirmed or received by a Bishop of this Church or by a Bishop of a Church in communion with this Church. Section 2.2 QUALIFICATIONS OF PARISH MEMBERS. Any adult member of the Church, registered as such in this Parish, shall become an adult member of this Parish, provided that no person shall be a member of more than one Parish or Worshiping Community in the Diocese at any time. The requirements of this shall be deemed to be met by any adult member by having been registered in the Parish register of this Parish, or by having been confirmed or received by a Bishop in communion with this Church in this Parish, or by having been transferred to this Parish upon presentation of the certificate required by Title 1, Canon 17, Section 4(a) of the General Convention in the manner prescribed by Diocesan Canon II, Section 2. Section 2.3 TERMINATION OF MEMBERSHIP. After a person becomes a member of the Parish, such a person shall remain a member until the relationship is terminated by death or by written notice of withdrawal. Section 2.4 VOTING MEMBERS Members of the Parish entitled to vote at any Parish Meeting are those adult communicants who, for at least six months prior to that meeting, have been faithful attendants at the services of the Church in the Parish, unless for good cause prevented, faithful contributors to its support, and faithful in working, praying, and giving for the spread of the Kingdom of God. Section 3.1 ANNUAL MEETINGS. The Annual Parish Meeting shall be held on or before February 8th of each year at such a date and time as shall be fixed by a vote of the Parish for the purpose of (1) electing the Wardens, the Parish Clerk, the Treasurer, other members of the Vestry, Delegate(s) and Alternate Delegate(s) to the Diocesan Convention and Regional Meetings, and the elected members of the Nominating Committee, (2) filling any vacancies among the Parish Officers or Delegates, and (3) transacting such other business as may legally and properly come before such a meeting. Section 3.2 SPECIAL MEETINGS. Special Parish Meetings may be called by a vote of the Vestry or upon the written request of not less than 10 percent of the voting members of the Parish. Section 3.3 WARNING OF MEETINGS. Warnings of each Parish Meeting shall be signed by the Parish Clerk or by one of the Wardens. At least one week before the date of a scheduled Special Parish Meeting, the warning shall be posted at the front doors of the Parish church. Warnings of Annual Parish Meetings may, and of all Special Parish Meetings shall, contain a statement of the objects for which the meeting is called. Section 3.4 QUORUM. The presence of 20 percent of the voting members of the Parish shall constitute a quorum for the transaction of business at any Parish Meeting, but less than a quorum shall have the power, without notice other than the announcement at the meeting, to adjourn any meeting until a quorum shall be present. A delayed Parish Meeting may only consider what would have been considered at the original meeting. Section 3.5 VOTING. At any Parish Meeting, except as may be otherwise provided in the Canons of the General Convention of the Church, the Canons of the Diocese, or these Bylaws, all questions shall be decided by a majority vote of the voting members of the Parish present in person at the time such a vote is taken at such meeting. (a) No person may vote by proxy. (b) Elections shall be by written ballot, unless there is only one candidate for any office or offices, in which case the Parish Clerk may be directed, by unanimous voice vote, to cast one ballot for such candidate or candidates. (c) Voting on all other questions shall be by voice vote or a show of hands at the discretion of the person presiding. Section 3.7 PARLIAMENTARY RULES. Subject to the Canons of the General Convention of the Church, the Canons of the Diocese, and these Bylaws, the person presiding at any Parish Meeting shall use Robert’s Rules of Order, Newly Revised, as the authority on any question of parliamentary law arising at such meeting. Section 4.1 TITLES AND NUMBER. The officers of the Parish shall be the Rector and a Vestry composed of a Senior Warden, a Junior Warden, a Parish Clerk, a Treasurer, and nine Vestry members. All members of the Vestry are Parish officers, and all Parish officers have a voice and a vote. Section 4.2 DELEGATES. The Parish shall designate members to serve as Delegate(s) and Alternate Delegate(s) to the Diocesan Convention and Regional Meetings. The number of Delegates (and Alternates) needed to represent the Parish is established by the Diocese. Any Parish officer, if properly designated, may be a Delegate or Alternate Delegate. Section 4.3 ELECTION. The Wardens, Parish Clerk, Treasurer, other members of the Vestry, and the Delegate(s) and the Alternate Delegate(s) shall be elected by ballot at the Annual Parish Meeting from the among the roll of voting members of the Parish that was approved at that meeting. Section 4.4 TERMS OF OFFICE. (a) The Senior Warden, the Junior Warden, the Treasurer, and the Parish Clerk shall be elected for a term of one year. No person shall serve consecutively in the same office for more than three terms. (b) Each Vestry member (other than the Wardens, the Clerk, and the Treasurer) shall be elected for a term of three years, unless elected to fill the unexpired term of another Vestry member. These nine Vestry members shall be divided into three classes of three Vestry members each. Each class will be elected for a term of three years. The terms of each class of Vestry members shall expire at the third Annual Parish Meeting following their election. No Vestry member who has served a full three-year term shall be reelected until one year has passed following completion of that full three-year term. (c) Each Delegate(s) and Alternate Delegate(s) to the Diocesan Convention and the Region shall be elected for a term of three years. The Delegates and Alternate Delegates shall be divided into classes, each class being elected in separate years as determined by the Vestry for a term of three years. The terms of each class of the Delegates and Alternate Delegates shall expire at the third Annual Parish Meeting following their election. No Delegates or Alternate Delegates who have served a full three-year term shall be reelected until one year has passed following completion of such full three-year term. Section 4.5 VACANCIES. Any vacancy in the office of the Warden or on the Vestry during the course of the year may be filled at a special Parish Meeting, or the Vestry may appoint an individual to fulfill the unexpired term until the next Annual Meeting. Section 4.6 TERMINATION. The term of any Parish officer (except the Rector) or of any Delegate or Alternate Delegate may be terminated by vote at any Parish Meeting provided the (1) notice of such action is included in the warning of such meeting, (2) written notice of such action is given to the person affected thereby, and (3) such person is given due opportunity to be heard at such meeting. Any vacancy resulting from such action may be filled by election at the same or any subsequent Parish Meeting. Section 4.7 REGULAR VESTRY MEETINGS. The Vestry shall have at least 11 monthly meetings each year. The Vestry by majority vote may change the date of any regular meeting, provided due notice of the change date of the meeting is given to all Vestry members at least seven days before the meeting. Section 4.8 SPECIAL VESTRY MEETINGS. Special Vestry meetings may be called by vote of the Vestry at a regular Vestry meeting, by the Rector, or upon the written request of any four Vestry members delivered to the Parish Clerk or, in the absence of the Parish Clerk, to a Warden. Due notice of a special Vestry meeting shall be given to all Vestry members at least two days before such meeting. Section 4.9 QUORUM. At all meetings of the Vestry, a quorum shall consist of the Rector and a majority (7) of the Vestry members. In the absence of the Rector, a quorum shall consist of a Warden and a majority (7) of the other Vestry members. Section 4.10 ACTION WITHOUT MEETINGS. Any action required or permitted to be taken by the Vestry may be taken without a meeting if all Vestry members consent in writing to the adoption of a resolution authorizing such action. The resolution and the written consents by the Vestry members shall be filed with the minutes of the Vestry meetings. Section 5.1 GENERAL DUTY. All Parish officers shall familiarize themselves with the Canons of the General Convention of the Church, the Constitution and Canons of the Diocese, and these Bylaws. (a) Subject to Title III, Canon 22, of the Canons of the General Convention of the Church, the Rector shall at all times be entitled to the use and control of the Parish church and buildings, along with their contents, for the purposes of the Rector’s office and for the full and free discharge of all its functions and duties. (b) The Rector (1) shall be Chairman ex officio of the Vestry and (2) shall preside at all meetings of the Parish or Vestry at which the Rector is present. (a) The property and all business affairs of the Parish shall be subject to the direction, management, and control of the Vestry; except that the disposition of the real estate of the Parish and the borrowing or lending of money shall not be within the control of the Vestry, unless granted by special vote of the Parish. As provided in Canon IV, Section 3, of the Diocesan Canons, the Bishop Diocesan and Standing Committee must approve encumbering or alienating the Parish’s real property. (b) The Vestry shall, from time to time, and always within one month prior to the Annual Parish Meeting, revise the roll of the voting members of the Parish in accordance with the Canons of the Diocese and this Bylaw section. This roll of voting members of the Parish as determined by the Vestry shall be presented by the Vestry to the next Annual Parish Meeting, or to the next Special Parish Meeting if such meeting occurs before the next Annual Parish Meeting. Before adopting the roll of voting members, a Parish Meeting will consider amending the Vestry-approved roll to add members to the roll whose names were omitted, assuming the criteria for Voting Members in Section 2.4 have been fulfilled. When adopted by the meeting at which it is presented, it shall be the roll of voting members of the Parish at that meeting. (a) In the absence of the Rector, the Senior Warden or, in the absence of the Rector and the Senior Warden, the Junior Warden shall preside at meetings of the Parish and Vestry. (b) In accordance with Title III, Canon 23, of the Canons of the General Convention of the Church, the Wardens shall notify the Bishop of the Diocese when the Rectorship becomes, or is expected to become, vacant. The Wardens shall likewise notify the Bishop of the resignation of an assistant minister serving in the Parish. (c) In the absence of a Rector, the Wardens shall (1) with the guidance of the Bishop, see that services of worship continue in the Parish, and (2) handle all administrative duties of the Parish, including giving letters of transfer, receiving transfers into the Parish, and maintaining the Parish Registry. (d) The Wardens shall report to the Bishop the neglect or failure of the Rector to perform the regular services in the congregation. (e) In the absence or incapacity of the Parish Clerk, the Wardens shall sign, post, and mail warnings of all Special or Annual Meetings of the Parish. The Wardens shall have such other duties as shall be assigned by the Vestry or the Parish. (a) The Parish Clerk shall make and preserve a full record or minutes of the proceedings of all Parish Meetings and Vestry meetings. (b) The Parish Clerk shall, under the supervision of the Vestry, keep an accurate roll of the members of the Parish and of the voting members of the Parish, and have such roll of voting members of the Parish present at every Parish Meeting. (c) The Parish Clerk shall be custodian of the files, records, and archives of the Parish. (d) The Parish Clerk shall study the Journal of the Diocesan Convention each year and report to the Vestry any amendments to the Constitutional Canons of the Diocese and cause the references to the Canons of the Diocese in these Bylaws to be kept up to date. The Parish Clerk shall have such other duties as shall be assigned by the Vestry. (a) The Treasurer shall be the custodian of all funds of the Parish, including all receipts from whatever source derived, and shall be responsible that all expenditures are made or used for authorized purposes only. (b) The Treasurer shall be responsible for ensuring that all accounting procedures, including an annual independent audit, are carried out in accordance with the Canons of the Diocese and the General Convention of the Church. Section 6.1 NOMINATING COMMITTEE. The Nominating Committee shall consist of seven persons, including the Rector, Senior Warden, Junior Warden, and four voting members of the Parish who shall be elected at the Annual Parish Meeting. No person other than the Rector, Senior Warden, and Junior Warden may serve on the Nominating Committee in successive years. At least 30 days before the next Annual Parish Meeting following their election, the Nominating Committee shall submit to the Parish a written list of nominees for (1) Senior Warden, (2) Junior Warden, (3) Parish Clerk, (4) Treasurer, (5) the replacement of all other Vestry members whose terms will expire at that Annual Parish Meeting, (6) the filling of all vacancies occurring due to the death, resignation, or removal of a Vestry officer, (7) the Nominating Committee for the following year, and (8) Delegate(s) and Alternate Delegate(s) to the Diocesan Convention and the Region. Section 6.2 OTHER COMMITTEES. Other committees, as deemed necessary, shall be appointed by the Rector and Wardens with the approval of the Vestry. To the extent possible, persons appointed to regular or standing committees shall be approved at the first meeting of the Vestry following the Annual Parish Meeting. In addition, persons appointed to any committee may be approved at any meeting of the Vestry as the need arises. Persons shall be appointed to committees for a term of one year. If a committee continues in existence for more than one year, members of that committee may be reappointed for additional terms not exceeding one year. Except by vote of the Vestry for special circumstances, no person shall serve on any one committee for more than six successive terms. Section 7.1 FISCAL YEAR. The fiscal year of the Parish shall be from January 1 to December 31 of each calendar year. Section 7.2 ENDOWMENT FUNDS. The endowment funds are to be invested in a prudent and conservative manner with a balanced objective of growth and yield as best meets the requirements of the Parish and current economic conditions. Investment objectives shall be approved by the Vestry. A Finance Committee, appointed in accordance with Bylaw Section 6.2, shall oversee the investment program and provide annual reports to the Vestry. (a) Parish endowment funds shall only be deposited with (1) a federal or state bank, (2) a Diocesan corporation, and (3) other agencies with the approval of the Bishops and the Finance Committee of the Diocese. (b) Income from restricted endowment funds shall be used in accordance with the terms of the bequest. Income from the unrestricted endowment funds may be used for any expenses of the Parish or for reinvestment in the funds. (c) Transfer of funds from the endowment principal to the Parish operating accounts for any purpose shall be considered a loan, with the intention to repay the endowment fund within a reasonable period of time. (d) The Treasurer shall secure and deposit all bequests to the Parish in accordance with the terms of the bequest and shall notify the Vestry at the next regular meeting of all endowment fund additions and withdrawals. Subject to the Canons of the General Convention of the Church and the Canons of the Diocese, these Bylaws may be amended by the favorable vote of two-thirds of the voting members of the Parish present at any Parish Meeting, provided that a copy of the proposed amendment has been made available to all members of the Parish at least 30 days before the date of such Parish Meeting. These Bylaws are supplemental and subordinate to the Canons of the Episcopal Church and of the Episcopal Church in Connecticut. Any amendments to those Canons shall effectively apply to these Bylaws, so as to maintain consistency between the Canons and these Bylaws.